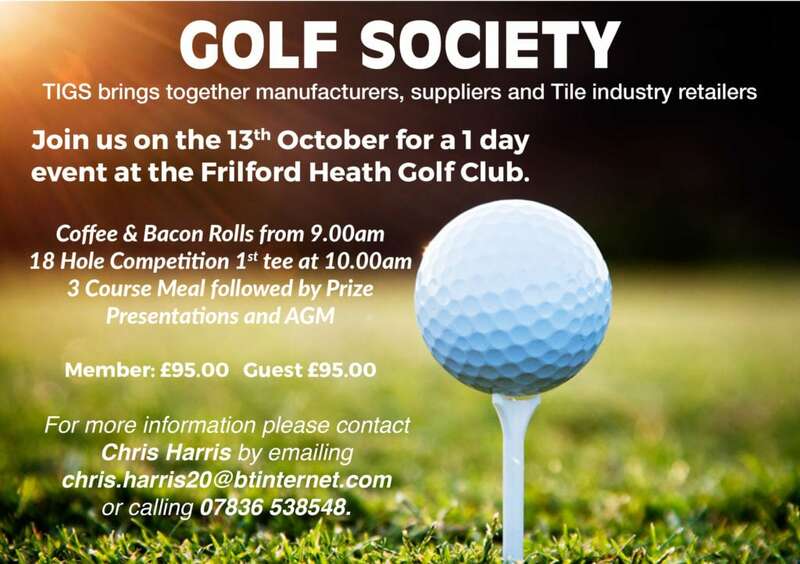 The next Tile Industry Golf Society (TIGS) golf day is on Thursday 13th October at Frilford Heath Golf Club. Coffee and bacon rolls will be served from 9am, with an 18-hole competition teeing off at 10am. There will also be a three-course meal, prize presentation and the TIGS annual general meeting.